Please see the attached Disposition bulletin from the recent meeting of the Commodity Classification Standards Board. All subject items were approved as docketed or modified as reviewed by the CCSB with the exception to Subjects 5 and 6 which were deferred until the February 2019 meeting. The supplement with the changes to the NMFC will be published on November 29th, 2018 with an effective date of December 29th, 2018. Please review the entire disposition bulletin as many commodities have changed classification. 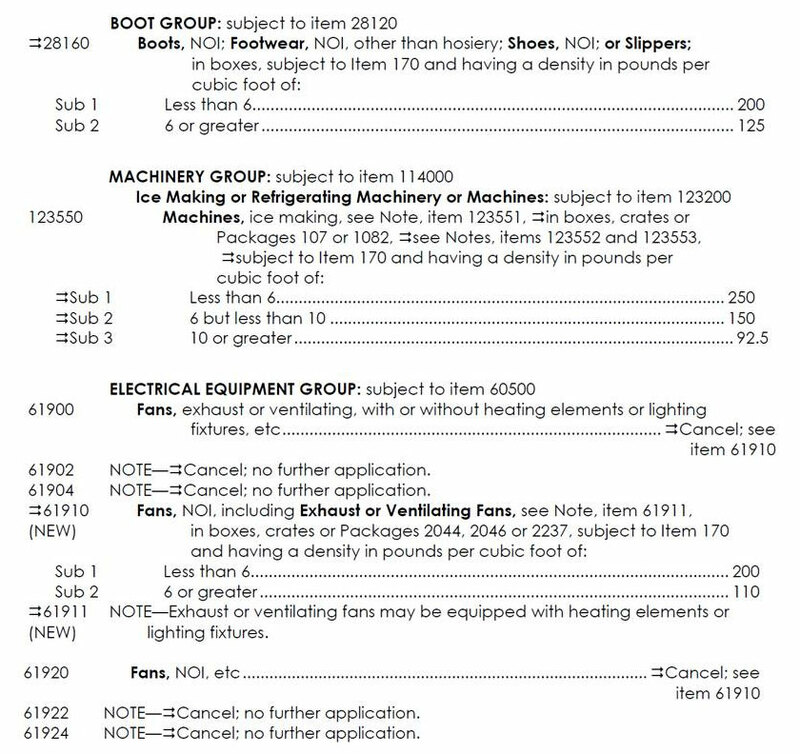 Subject 1: NMFC Item 28160; Boots, NOI, Footwear, NOI, other than hosiery, Shoes, NOI. Will change from a straight class 150 to a two-tier density break. Less than 6 pcf is class 200, 6 pcf or greater is class 125. Subject 2: NMFC Item 123550; Machines, ice making. Will change from a straight class 92.5 to a three-tier density break. Less than 6 pcf is class 250, 6 but less than 10 pcf is class 150, 10 pcf or greater is class 92.5. Subject 8: NMFC Items 61900; Fans, exhaust or ventilating and 61920; Fans, NOI are cancelled. New NMFC Item 61910 is created to encompass exhaust/ventilating fans and fans, NOI. 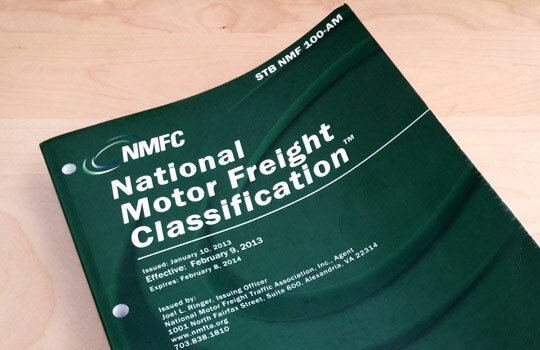 This item will have a two-tier density break, less than 6 pcf is class 200, 6 pcf or greater is class 110.